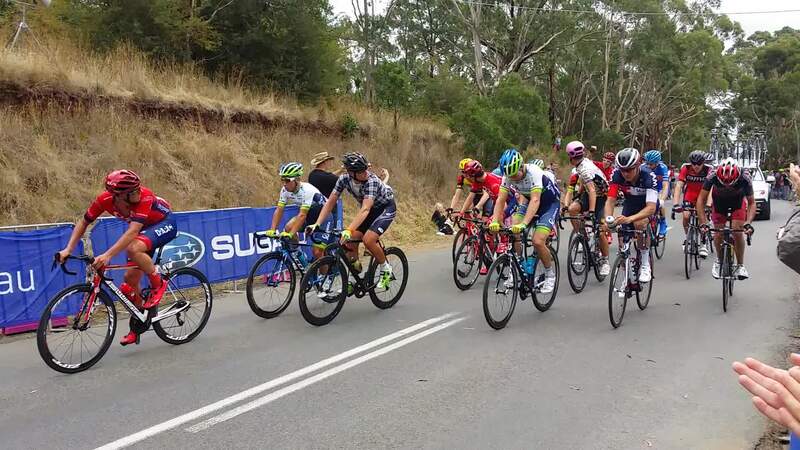 Lap 15: The winning group go over the KOM. This year we brought a rug and perched on a verge beside the KOM point, having learned from last year where we did an inordinate amount of walking. I thought crowd numbers were down somewhat – though to be fair we didn’t see as much of the course and this might be shaping my impression. 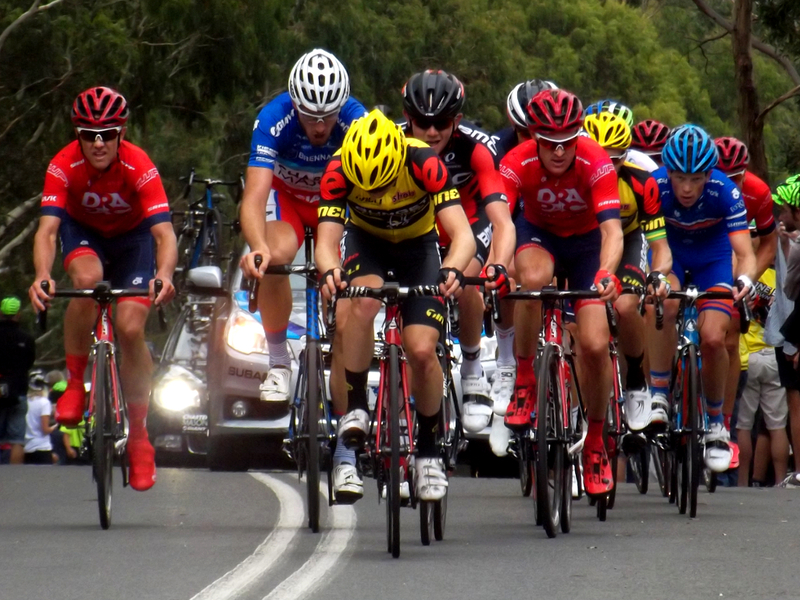 After the main peloton passed us the last time, we moved over to the big screen to watch the final moves play out. Disconcertingly, the screen was about five seconds out of sync with the PA. We’d heard Haussler called as the winner, but I didn’t quite believe it until I saw it a moment later. Lap 11: Howson goes off the front. 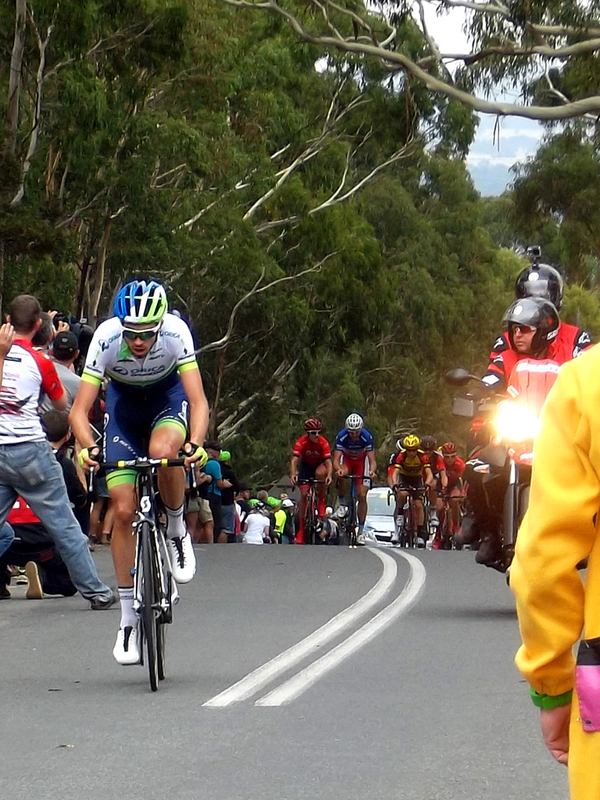 Lap 11: The rest of the break, chasing Howson down. 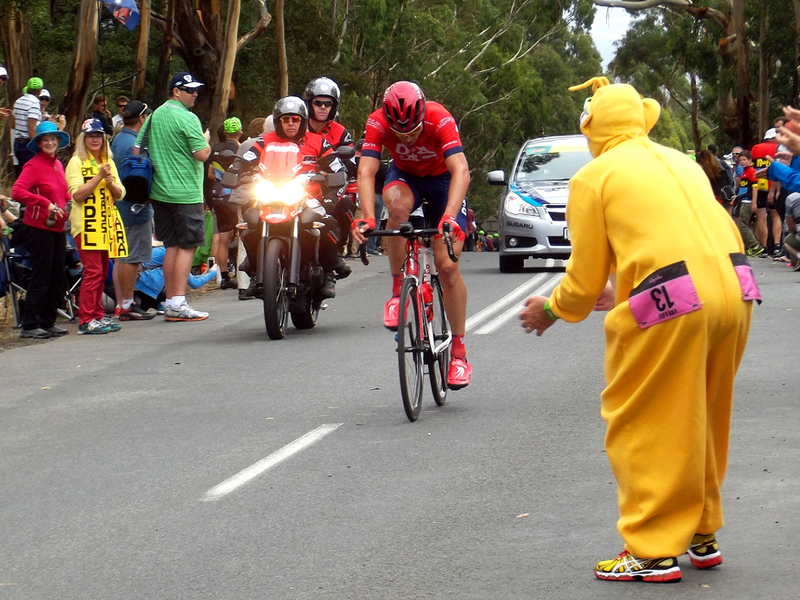 Spectating the Inaugural CEGORR, and Some Reflections on Cadel.